Our flat is in a city called Kaposvár in beautiful countryside. The town has 70,000 inhabitants. Lake Balaton (the biggest lake in Central Europe, sweet, warm and shallow, ideal for parents with little children, also for fishing, sailing and swimming) is 45 km away. The city is middle-sized, calm and beautiful, full of flowers. Budapest, the capital, is 180 km. The flat is on the first floor in a house in which there are only 4 flats. 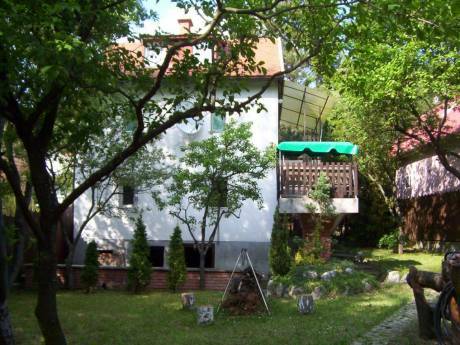 It is 80 m2, has 2 bedrooms, a kitchen with a livingroom, nicely furnished. It is set in the city centre, near a public park. The flat is our 2nd home, we travel there for holidays. We are a married couple, a 35 year old lawyer and a 47 year old businessman. 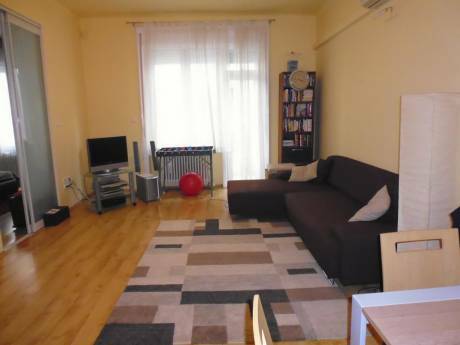 We live in Budapest and have this flat for holidays, because it is in a nice and calm city. The children are 21 and 18, we would travel either with them and girlfriends or two of us. We have already made more very successful exchanges, in 2008 we spent 3 weeks in New York, in 2009 in France and had 2 french family as guests. 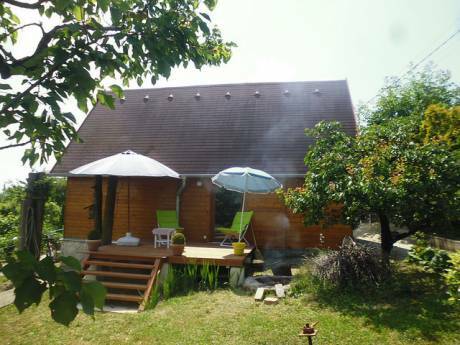 We love travelling in Hungary and abroad too, and we will be very happy if we can help you to arrange a successful holiday in Hungary or show you interesting places if you wish..
Somogy County is one of the most beautiful areas in Hungary with hills, forests and valleys. Ideal for walking, hiking. Near Kaposvar there is a lake, only 5 km away, popular for swimming and fishing, in winter for skating. In the town there are many things to do, for example, there is a waterpark (in summer), a public bath (also in winter), museums, a skating hall (all year), friendly cafés, nice parks etc. The county is rich in medicinal spas, only 1.5 hours travelling and there is the largest natural thermal lake of Europe (Hévíz), with a water temperature of 32 degrees C (90F) even in winter, good for several health problems such as rheuma and illnesses of the nervous system. The surrounding of lake Balaton is simply fascinating: apart from the wonderful natural sights you can find magnificient castles, palaces and churches. Pécs, the Cultural Capital of Europe in 2010, is only 1 hour away, there are many many things worth seeing, if you are interested, just ask!